Whether it’s a sunny holiday or some extra money added to your annual salary, we all have goals we’re working towards. An accountant or bookkeeper can be technically brilliant, but if they don’t have strong skills to communicate advice and offer solutions to their clients, they will have less impact than a less technical, but more rounded accountant. Imagine being sent to a clients’ office to advise on where they should be making savings and suggesting they stop working with a supplier they’ve been using for years. Or having to tell a director in another department they must cut operating costs by 20%. Or even needing to persuade your own team to do things differently. All of these things require great communication skills. And they are an everyday necessity for bookkeepers and accountants, from students up to the most senior level. 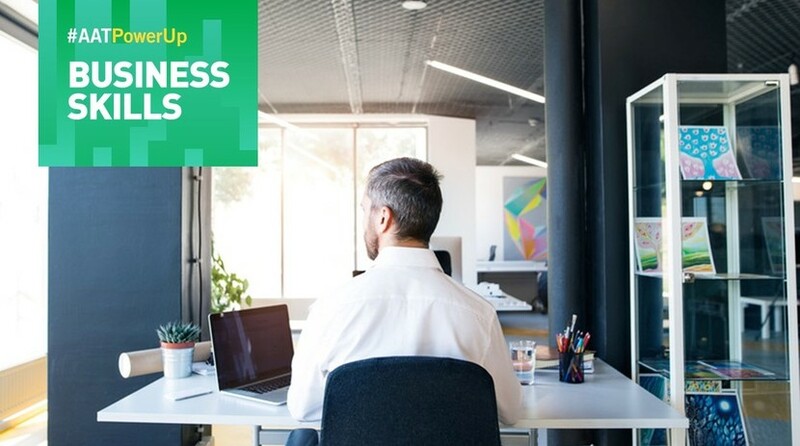 Over the next three months, the AATPowerUp series will be focusing on your Business Skills with tips and tricks to improve your communication. FACT: Employers’ top requirement for new employees is strong interpersonal skills. One in five states the single most important factor is how a new employee will fit the company culture. Source: Survey of 1,000 employers, carried out by AAT in 2018. 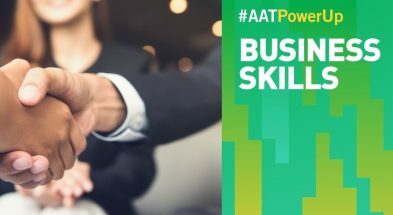 Over the next three months, AAT will be helping you PowerUp your Business Skills. 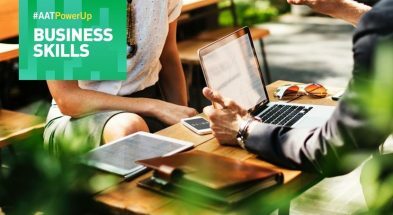 We’ll be providing content and resources to keep skills at the cutting edge, whether you are a bookkeeper, accountant or an employer running a training programme there will be ideas, inspiration and case studies. You can follow the content here on aatcomment.org.uk or on social media: #AATPowerUp. Having the numerical skills to identify a problem is a great starting point, but the way you communicate the solution requires a different type of skill. We’ll be starting out with foundational skills involving great personal communication both verbal and written. We’ll deep dive into techniques for asking the right questions, listening effectively, as well as how to develop at networking and presenting. After personal communication, we move to managing relationships. This is an increasing part of the finance professional’s role, from apprentices and bookkeepers, right up to heads of department. We’ll be covering influencing skills to help you make a positive impact among colleagues and teams in your organisation. And we’ll be revealing ways to PowerUp your relationships with clients. 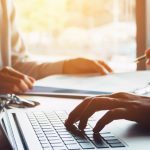 Automation is driving change, but aside from this, it is important to also know how to operate the various types of tech and get it to work for you. We’ll have a range of materials to help, from gaining basic digital skills to a miniseries on data analytics. The Oxford English dictionary is being lobbied to change the definition of an accountant from ‘a person whose job it is to keep or inspect financial accounts’ to ‘a person whose job it is to keep or inspect and advise on financial accounts’. Managing your own workload is one thing but learning the skills required to manage others, and manage others well, is often something that needs to be learnt. We will be looking into what it takes to be a great leader, how to take over a team and create your own culture, and how to manage change. Working as a team and getting the most from your team can be tricky, particularly with a variety of different personalities. In this segment, we will be looking at how to manage conflict, how to take feedback as well as getting the most from working in a team. What skills do you wish your colleague had? These are just some of the highlights we will bring over the next three months. You can follow the latest on Twitter with #AATPowerUp, or check back here for more. Content Team are the owners of AAT Comment.